Let no-one say that Henry Brant, America’s senior experimental composer, doesn’t have a sense of humor. If Charles Ives had been into Monty Python it would not have reached the heights of epic grandeur and inspired lunacy heard on this second volume of Brant works. Here are three concertos: a triple concerto for Oberlin College’s zaniest, a violin concerto for Daniel Kobialka (violin wizard of the San Francisco Symphony), and a double bass concerto for Lewis Paer (who has recorded for Steve Reich and Fame). Solar Moth (a miracle of overdubbing technique whereby Brant himself plays most of the parts) creates some of the mothiest sounds ever heard, at least in this solar system. At the other underwater extreme, Ghost Nets protests the destruction of marine life by driftnet fishing practices. Part Two of “The Henry Brant Collection.” Certified dolphin safe. This is still mind-blowing stuff through two channels. Recommended. 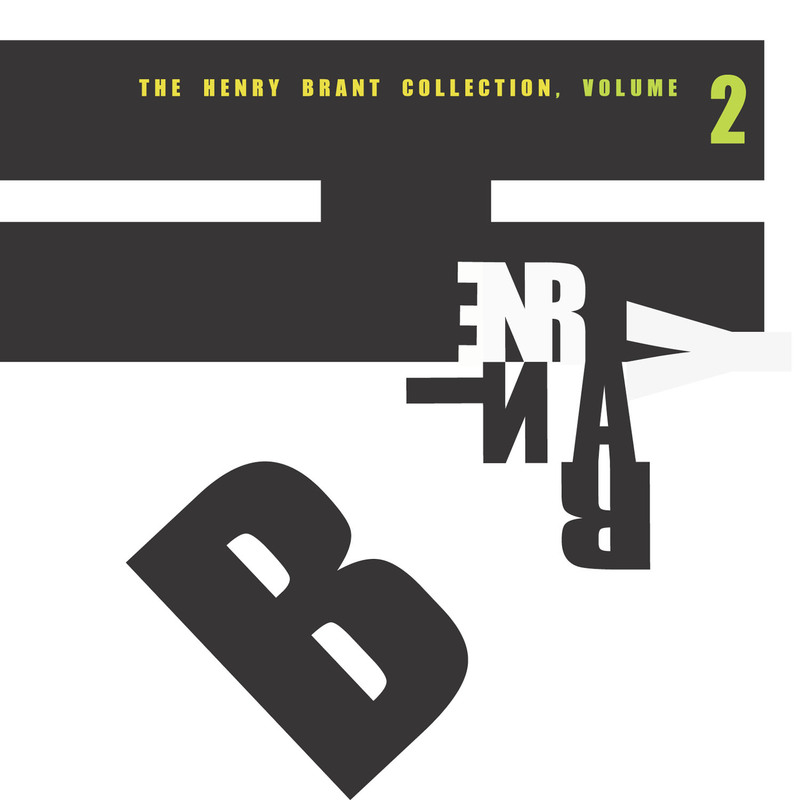 After years of listening to his music and even nearly two years after a lengthy conversation with him about his music, I still find it extremely difficult to describe the music of Henry Brant, which thanks to Innova's ongoing Henry Brant Collection, is finally turning up on commercially-available recordings. The buzzword always used to describe Brant's music—spatial music—only captures part of its essence, an essence that can’t really come across on two-channel CDs anyway. So what remains? It is mostly fiercely non-tonal, but never in an ascetic dodecaphonic way. Rather it uses an atonal backdrop to portray a musical universe quite like the actual universe, unpredictably, sometimes quirkily amusing, occasionally beautiful but never sentimentally so. Imagine a wild romp for Concert Band sounds like a surreal blend of Ivesian clashing marching bands, '60s free jazz and…a wordless operatic baritone !?! and you’ll sort of get the idea of what Nomads (1974), which opens the second volume of Innova's ongoing series, sounds like. About 18 minutes into Solar Moth (1979), the seemingly relentless plinky sounds of a violin and inside the piano theatrics (performed by the composer himself) suddenly morph into something that, if I didn’t know better, would say is part of a late 1980s neo-romantic violin sonata, but not for too long! Unlike the majority of Brant's scores, which are fully notated, Solar Moth consists entirely of verbal instructions or as violinist Daniel Kobialka puts it, the composer "dispense(s) with notational aids." The ensemble clashing nature of Brant's compositional aesthetic might lead you to believe that it's not a world where soloists can shine, but Ghost Nets (1988), the most recent work on the disc which is ostensibly a concerto for double bass and two spatially separated chamber orchestras, features a wonderfully jazzy solo part that is as flattering as some of Mingus or Ron Carter's best solos.